Military drills in Pohang in 2014 Public domain photograph from defenseimagery.mil. 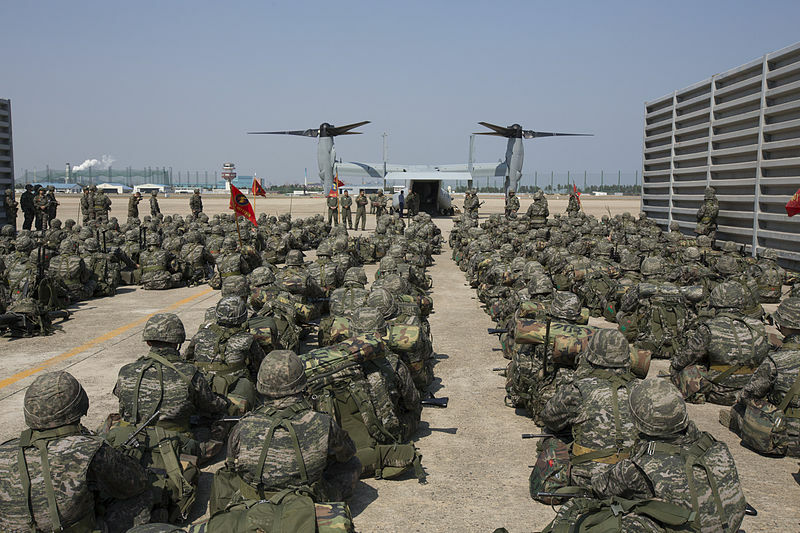 Joint U.S. and South Korea military drills started today and will last throughout the week until Friday. The drills, known as the Maritime Counter Special Operations Exercise will take place in the East Sea and also the Yellow sea around the Korean Peninsula and will include the nuclear-powered carrier, the USS Ronald Regan. While there have been suggestions that these drills could provoke a response from North Korea, historically, North Korea have tended not to provoke during the drills. Despite the military drills, and also tweets to the contrary from President Trump, U.S Secretary of State Rex Tillerson has recently suggested that Trump does want a diplomatic solution to the problems on the peninsula. While the drills finish on Friday, that will be by no means the end of cooperation between Korea and the U.S. In fact, President Trump will visit Korea in early November when he is expected to hold a meeting with the President of Korea Moon Jae-in.